Wilma Cosmé (born 16 January 1966, in San Juan, Puerto Rico), better known by her stage name Sa-Fire, is a Puerto Rican singer. She is one of the few Latin freestyle artists to have achieved major pop chart success and is considered to be one of the most prominent representatives of the genre. Relatively well-known to the mainstream media, Sa-Fire continues to perform all over the world and at many venues. 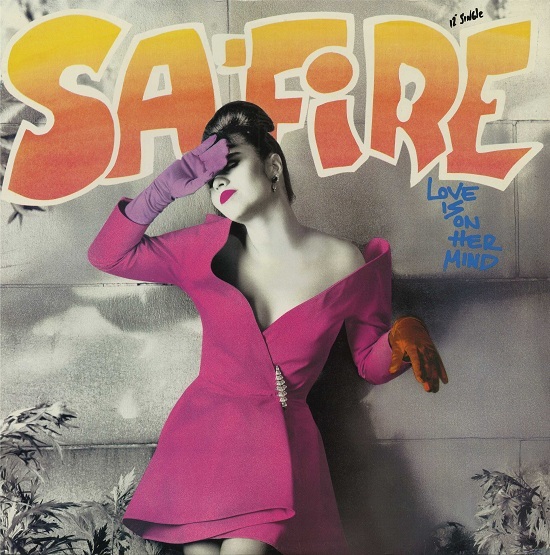 “Love Is on Her Mind” was the second single released from Sa-Fire’s 1988 eponymous debut, the single reached #29 on the Hot Dance Music/Club Play charts and #18 on the Hot Dance Music/Maxi-Singles Sales charts.